08/14/2018 08/16/2018 by River T.
Alchemic Cutie is a cute (as the title implies) farming adventure RPG that’ll remind you of Harvest Moon and friends. You run a farm and you need to tend to your plants, jellies, and make friends with the villagers in the area. You can also explore the many secrets of the island you inhabit called Wimba Island. You’re a young jelly farmer who just happens to be a happy little village with many different and weird NPCs to interact with. You can explore, farm, discover, and look for new jellies to farm, breed, and raise. 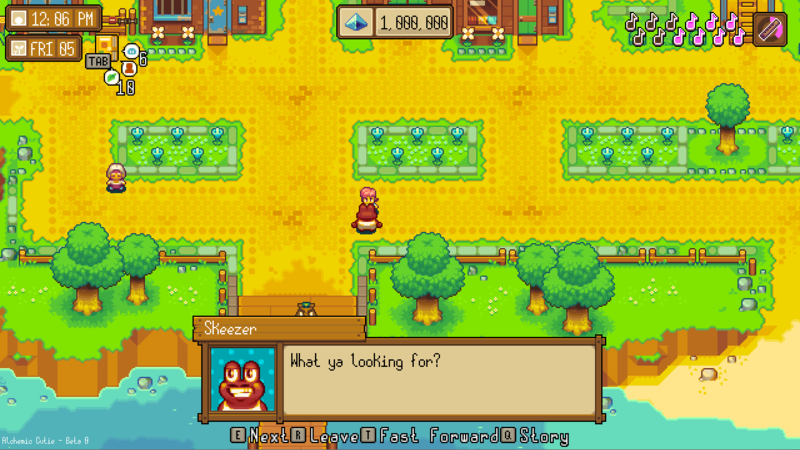 It combines Harvest Moon and Slime Rancher into one top-down pixel art RPG adventure! Each jelly you farm has unique stats and traits with over 4,000 visual patterns. You can farm them all if you dare. If you’re not a farmer, take some time off and complete some quests, talk tot he NPCs, and compete with other jelly farmers in the village jelly competition. You can even make friends and develop relationships with other characters. 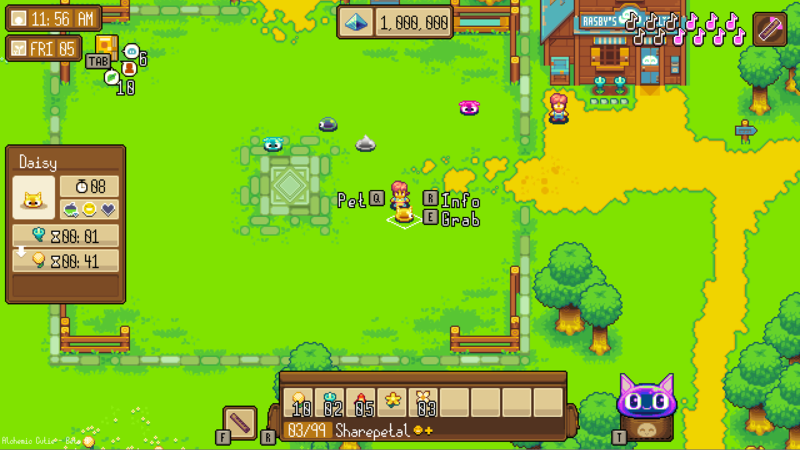 The game even has mod support for players to add their own villagers, quests, items, maps, and more. If you’re into these types of gmaes, try out Alchemic Cutie! Sign up for the alpha using the link. You’ll wish the game had more to do after you beat it! I play the newest to the crappiest indie games and filter them for the rest of the crew. In other words, I’m a bottom-feeder. Why do I volunteer for this trash? Indie devs: the last honest game creators.